Windy Hills is located east of Downtown Louisville and offers a great location for buyers who want to be close to everything. 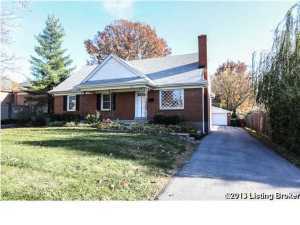 Thanks to it's proximity to all parts of Louisville, this area has traditionally been sought after and a very stable market. Windy Hills is bounded by 264, Hubbards Ln, Brownsboro Rd, and Westport Rd. This area also has a proactive council that fosters the city to it's fullest potential. This area has something for everyone and from ice cream socials to light up the green, Windy Hills is a fantastic place to live. Learn more about gomes for sale in Windy Hills by calling us at 502-458-4100.